Celebrity chef Thierry Marx wants to bring his talents to South Beach. 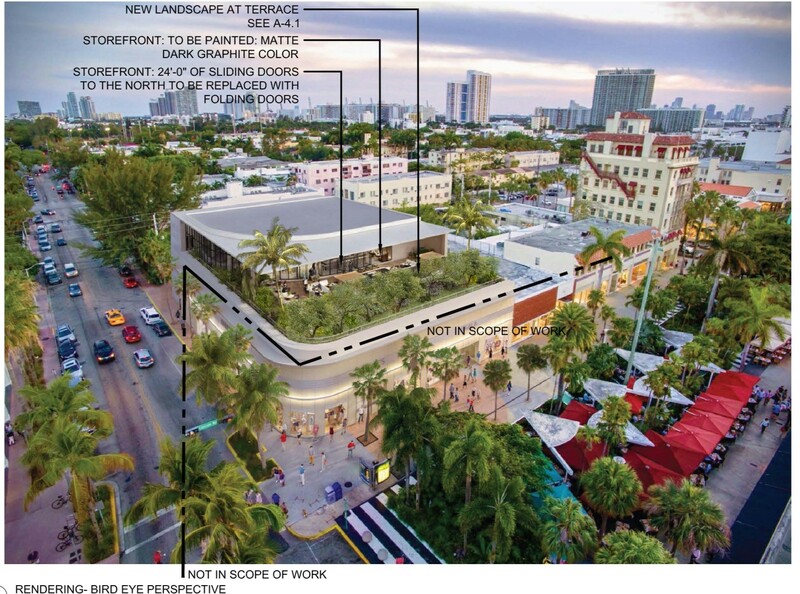 Marx is part of a group that has filed an application with the Miami Beach Planning Board for a new restaurant to be located at 800 Lincoln Road. MILA Miami will serve “a mix of Japanese and Mediterranean fare” in the recently added rooftop area of the building. The food will be “complemented by world class cocktails and exquisite design and upscale ambience,” according to a letter of intent written by attorney Michael Larkin. MILA will have a total of 247 seats, 150 inside and 97 outdoors. The restaurant will have a private entrance on Meridian with two elevators to take patrons to the rooftop. The outdoor area will include “a small water feature” and an outdoor bar counter (which requires approval by the City’s Historic Preservation Board). Greg Galy, previously president of luxury dining group Fig & Olive, is also part of the group. The complete application can be viewed here.